This is definitely on my Ketogenic menu! This low carb dish is a family favourite, the flavor is amazing. 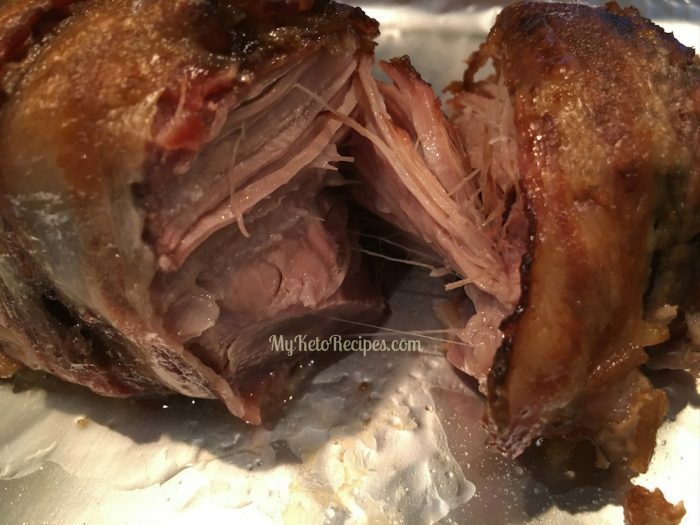 This makes a great meal and the meat is perfect for leftovers the next day. 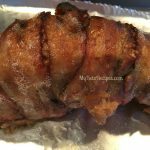 I used 3 smaller size pork loins for this recipe. You can use any size you like. The meat turned out very tender, you don’t even need a knife to cut this. When it was done in the crock pot I put it on a cookie sheet and set on broil in the oven for just a couple of minutes to brown the bacon. This last step really finished it off nicely and gave it a wonderful color on the outside. It also made the bacon more crispy. You have to be careful though because the bacon will burn very easily. The kids loved it and we will be making this again in the future. They made sandwiches the next day out of the leftovers. You could also use the leftovers in a salad, would taste great! Click here for more -> RECIPES! Rub pork loin with the dry onion soup mix. Pour any leftover into the bottom of the crock pot (any that fell off on my cutting board I scraped into mine). 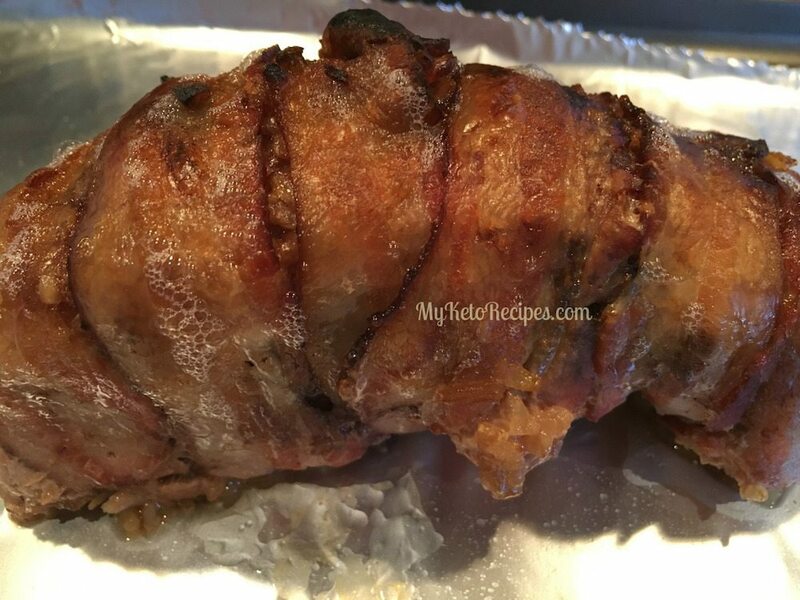 Wrap the bacon around the roast and place into the crock pot. Cook on High for 5 hours or Low for 7. It’s difficult to find good low carb recipes. Thanks! I love your recipes, and have made several. Sounds great, thanks for sharing ! This was amazing, no need to broil it either. Perfect Keto dinner with a side of broccoli. ty so much for ur recipes.. Simply easy! And since I had no bacon, I ‘buttered’ loin w/pork belly drippings~yum! Is there a dry onion soup mix without maltodextrin? UGH!! This was AMAZING! Thank you so much for sharing. Even my daughter, who doesn’t typically like meat very much, said it was delicious. Awesome! So glad you guys liked it! I did not have onion soup in pantry. Made my own with onion powder, salt free seasoning, garlic powder, pepper, red pepper flakes. Added 1/3 cup of no sugar apple sauce with water. In crock pot now! Love these recipes. How much weight has everyone lost? Thanks!! My bacon is still not crispy at all after 5 hours on high, but the internal temperature of the pork roast is fine. I’m going to try to broil it for a few minutes and hope it doesn’t dry it out. I made this in the oven. 425 for 1-1/2 hours. Variation. Rubbed with spices. Slathered with Asiago Peppercorn dressing by Marzetti ( keto friendly). wrapped in bacon. baked. It was tender and fantastic. Even my non-keto hubby loved it. Thanks for the inspiration.